A rare Pre-Raphaelite woolwork embroidery after the woodblock design by Sir. Edward Coley Burne-Jones. ' 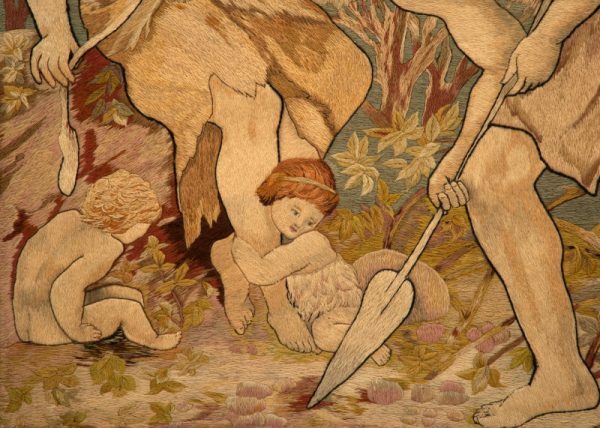 When Adam Delved and Eve Span ' probably executed in The Royal School of Needlework workshops or by one of the skilled Lady Embroiderers working during this period. 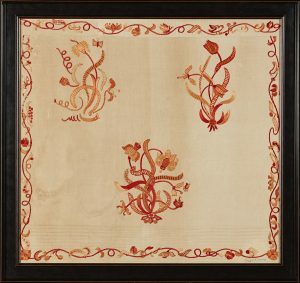 A banner of this design is in the collection of The William Morris Gallery, Walthamstow. 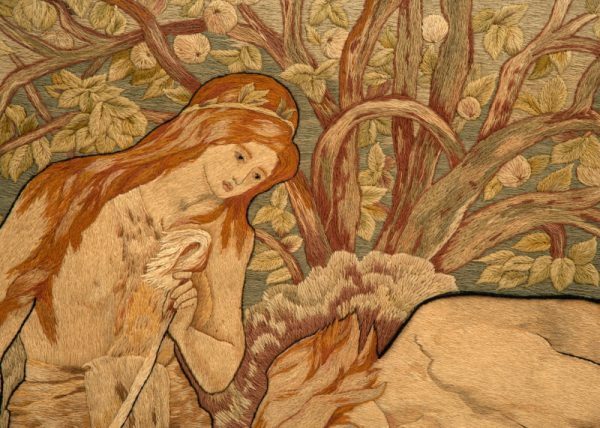 A rare Pre-Raphaelite woolwork embroidery after the woodblock design by Sir. Edward Coley Burne-Jones. 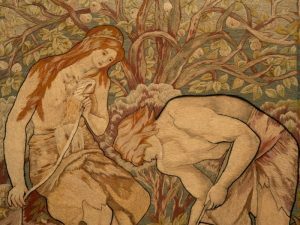 ‘ When Adam Delved and Eve Span ‘ probably executed in The Royal School of Needlework workshops or by one of the skilled Lady Embroiderers working during this period. A banner of this design is in the collection of The William Morris Gallery, Walthamstow.